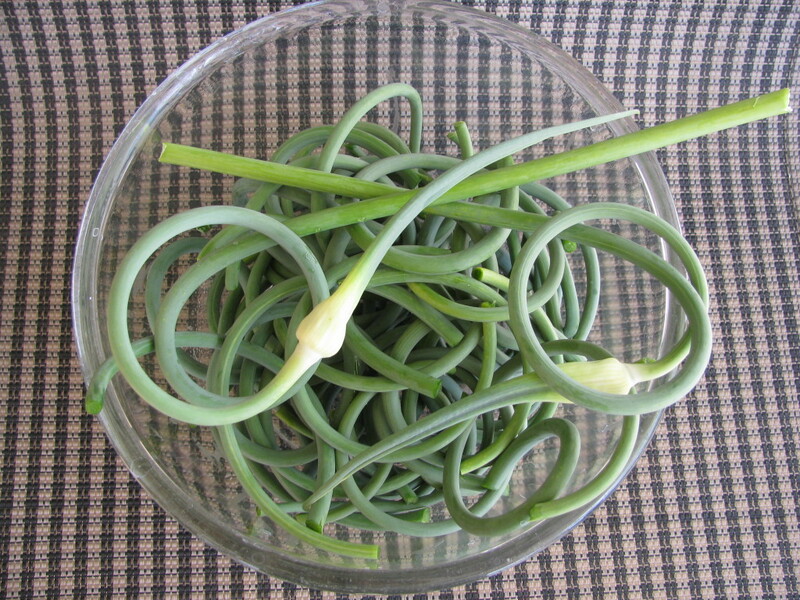 Lots of ways to use these Dehyrated Garlic Scapes in your kitchen! Add to soups or stews, pasta sauces, fold into omelettes or scrambled eggs. Add a pinch to the water when cooking rice, or mash into your potatoes. These dried Scapes will add a wonderful garlicky flavour to any dish. We will need your postal code to determine shipping costs. Just shoot us an email and we will figure it out for you. 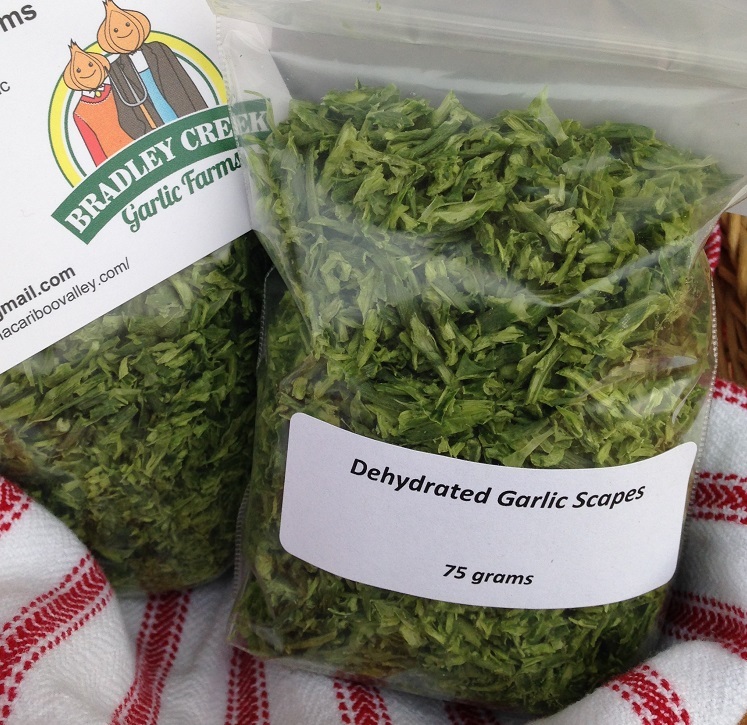 Let us know how many bags of Dehydrated Garlic Scapes you want to order. Include your postal code so we can provide you with a shipping cost. We will send you an invoice by email and will ship your order once payment is provided. Payment can be made on your credit card OR with your Paypal account. We also accept email transfers. Delicious lightly grilled or fried in sesame oil, Garlic Scapes are a super healthy side dish. Scapes are becoming more popular as people explore local Garlic and they are always a hit with local restaurants. Fresh Garlic Scapes are only available for about 3 weeks – if you are looking for Dehydrated Garlic Scapes, we have those too. Let us know how many pounds of Garlic Scapes you want to order. Include your postal code so we can provide you with a shipping cost. We will send you an invoice by email and will ship your Scapes once payment is provided. Payment can be made on your credit card OR with your Paypal account. Here in the Cariboo region of BC, we grow several varieties of Hardneck Garlic. We’ve been growing garlic here since 2006 and all our garlic is grown from Organic Certified Seed. Whether you are looking for fresh garlic for eating or you want seed garlic for planting, we have it. Garlic Scape Sales for 2018 will begin mid-June. We can ship in quantity for your restaurant! 2018 Garlic Sales will start roughly mid August.